On Saturday, April 9th two former multi-division world champions will meet once again at the MGM Grand Garden Arena in Las Vegas, NV in what will be their third encounter. By now everyone knows what happened in the first chapter of the story between Manny Pacquiao and Timothy Bradley. In June 2012, the two met for the first time for Pacquiao’s WBO Welterweight world championship. Many felt that Pacquiao had clearly done enough to successfully defend his world championship by a convincing unanimous decision over the very “Game” Bradley who had fought with pulled ligaments in his left foot throughout the entire fight. Despite what appeared to be a clear win for Pacquiao however, turned into arguably one of the most controversial decisions in the recent history of the sport as Bradley was declared the winner via twelve round split decision. Readers have become accustomed to seeing this observer describe what happens to both fighters involved in a controversial decision such as the one rendered in the first fight between Manny Pacquiao and Timothy Bradley. No matter what one’s opinion might be as to who won that fight, one thing was indisputable and that is the backlash suffered by Timothy Bradley, who many fans directed their outrage and anger toward following the decision. Even though the opinion of many that Manny Pacquiao had been the victim of injustice in that fight may indeed have been the popular stance of Boxing fans, Timothy Bradley was also victimized by what many feel was an unjust decision. He was victimized by those who rather than pointing their anger and dissatisfaction over the decision rendered in that fight toward the three official judges involved and maybe even the Nevada State Athletic Commission, chose instead to point the finger of blame squarely in Bradley’s direction. Although Bradley would continue to have success in two title defenses following his victory over Pacquiao over Ruslan Provodnikov and Juan Manuel Marquez, it was clear that the issue between Bradley and Pacquiao was far from settled and the controversial outcome warranted a rematch. Pacquiao meanwhile would suffer a second setback following his loss to Bradley in suffering a brutal knockout loss in his fourth fight against Juan Manuel Marquez December 2012. Pacquiao however, was able to rebound by scoring a dominant twelve round unanimous decision over Brandon Rios in November 2013. This would lead to the much-anticipated second encounter between Pacquiao and Bradley. When the two met in April 2014 it was clear that Bradley was intent to make a statement by not allowing the rematch to go to the scorecards by fighting in an aggressive style and seemingly putting everything he had behind every single punch he threw in the fight. Bradley’s aggression however, ultimately proved to work against him in the rematch as he missed more punches than he landed and Pacquiao was able to gradually outwork him in spurts over the second half of the fight to win a twelve round unanimous decision and regain the WBO Welterweight world championship. In the two years since their last meeting both fighters have continued to remain at the top of the sport. In his last fight in May of last year, Pacquiao was defeated by Floyd Mayweather in the most lucrative fight to date in Boxing history. Although that fight broke all existing records particularly with regard to traditional pay-per-view revenues, the actual combat in the ring failed to live up to the expectations of Boxing fans. Although one might argue that the reason for that might simply boil down to the old adage of styles make fights, it should not be overlooked that Pacquiao entered the fight with an injured right shoulder, a fact unknown to the public until after the fight. No one truly knows how much Pacquiao’s injured shoulder affected how the fight was ultimately fought, but the normally offensive-minded Pacquiao was unable to throw and land punches consistently throughout the entire fight. It was later revealed that Pacquiao had suffered a torn rotator cuff which he had surgery to repair in the days following the fight. Following Mayweather-Pacquiao, Floyd Mayweather indicated his intention to relinquish all the world championships he held at the time including the WBO Welterweight world championship he had won from Pacquiao, thus creating an opportunity for Timothy Bradley to fight for what amounted to be a vacated world championship. Bradley would regain the WBO championship by scoring a twelve round unanimous decision over Jessie Vargas in June of last year. Bradley followed that victory with a title defense by stopping Brandon Rios in nine rounds in November of last year. This victory by Bradley set the stage for the third encounter with Pacquiao. Unlike the first two encounters however, no world championship will be at stake in this fight as Bradley relinquished the WBO Welterweight world championship due to not being able to fulfill his mandatory obligations per being contractually signed to face Pacquiao. Although no world championship will be at stake in this fight, a third encounter between the two is certainly logical. After all, no matter what one might think of the outcome of the first fight between the two, the fact is that Timothy Bradley and Manny Pacquiao each hold a victory over each other. The first two encounters went the distance and it makes all the sense in the world that there be a third battle between the two. The question that this observer has as this fight approaches however, centers on the condition Manny Pacquiao’s right shoulder. It is logical to assume that Timothy Bradley will look to test Pacquiao’s shoulder from the outset. It will be interesting to see if Pacquiao will let his hands go early in this fight or if he will adapt a cautious approach and not be as offensive-minded as he has been in the past. As for Timothy Bradley, this will be the second fight for him under the guidance of the legendary Teddy Atlas. In their first fight together Bradley dominated Brandon Rios from start to finish and one might argue that Bradley appeared to look like a different fighter as compared to his previous bouts. It will be interesting to see what fight plan Bradley and Atlas will look to implement in this fight. Although Bradley was able to win some rounds against Pacquiao in the first half of the second fight, it was clear that he missed more punches than he was able to land over the course of that fight and one might argue that had he chose to box instead of trying to entice Pacquiao to come forward recklessly as he did in his fourth fight against Juan Manuel Marquez where Pacquiao was caught and knocked out cold that there may have been a different outcome. It is logical to assume that Bradley might look to box Pacquiao this time around rather than putting everything he has behind every punch he throws. An argument can be made that coming into this fight it is Bradley who has the momentum on his side and that it is Pacquiao who could be viewed by some as an underdog due in large part to his lackluster performance in his fight against Floyd Mayweather and the revelation of the injured right shoulder after that fight. It is important that Pacquiao show despite his performance in his last fight that he is still an offensive-minded fighter and still a fighter capable of throwing punches in bunches. In order to be successful in this fight Manny Pacquiao must throw punches in combination and must find a way to nullify Bradley’s offense and ability to evade his punches. If the first two fights between the two are any indication it is also logical to assume that the third encounter may well go the distance and if it does it will be interesting to see if a clear winner will emerge in this third fight. Beyond this fight being the third battle between two great fighters, this fight also has another storyline attached to it. This may very well be the final fight of Manny Pacquiao’s illustrious career win or lose. 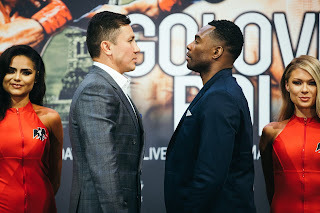 This is a scenario that has been played out before most recently when Floyd Mayweather defeated former Welterweight world champion Andre Berto in September of last year in what was billed as Mayweather’s final fight. Although some believe that Mayweather will eventually return to the ring, it will be interesting to see if Pacquiao-Bradley III faces a similar reaction as Mayweather-Berto, which also headlined a pay-per-view broadcast in that it was not considered a pay-per-view success. The pay-per-view card headlined by Mayweather-Berto drew roughly 400,000 pay-per-view buys in the United States nowhere near the massive numbers that were generated by Mayweather-Pacquiao of 4.4 million pay-per-view buys. It may be true that Boxing fans may still feel a sense of dissatisfaction over feeling that they did not get their money’s worth when Mayweather and Pacquiao finally squared off after over a decade of anticipation. Much as I said prior to Floyd Mayweather’s victory over Andre Berto however, it would be a shame if this will be indeed Manny Pacquiao’s swansong as a fighter, if that moment in Boxing history were largely rejected by cable and satellite television subscribers as well as ticket buyers who might choose not to pay to see the fight either by ordering on pay-per-view or by seeing the fight in person. Unlike Mayweather-Berto however, this fight will complete a trilogy. A trilogy that has in its first two chapters seen controversy, misdirected outrage, and vindication for both fighters. The Boxing world now turns its attention once again to the MGM Grand Garden Arena in Las Vegas, NV to see who will emerge victorious in the third chapter of Manny Pacquiao vs. Timothy Bradley. Pacquiao-Bradley III takes place Saturday, April 9th at the MGM Grand Garden Arena in Las Vegas, NV. The fight will be broadcast on a pay-per-view basis by HBO Pay-Per-View in the United States for $69.95 HD/$59.95 Standard Definition. The broadcast will begin at 9PM ET/6PM PT. Contact your local pay-per-view provider for ordering information. In the United Kingdom, the fight can be seen on Premier Sports at 2AM (Sunday, April 10th Local UK Time.) Check your listings Internationally. What’s Next For Broner and Molina?